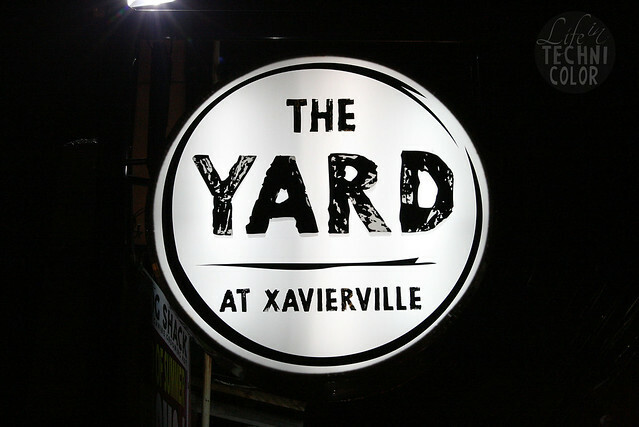 Say hello to the newest food park in town - The Yard! 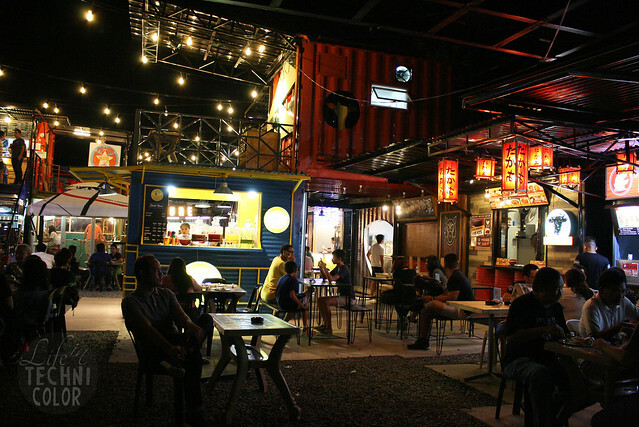 The entire park is built from container vans; the stalls are small but there's ample seating all over the compound. The vibe is very laid back and hip. 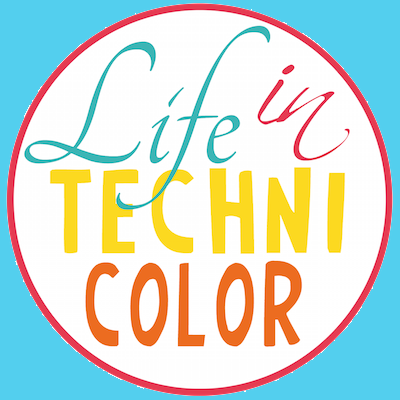 They even have DJs and live bands playing on the weekends! It's a great hang-out place, especially among students in the area - I wish we had something like this when I was still in college. Oh well. I guess I can always visit The Yard and pretend to be eighteen. Haha. 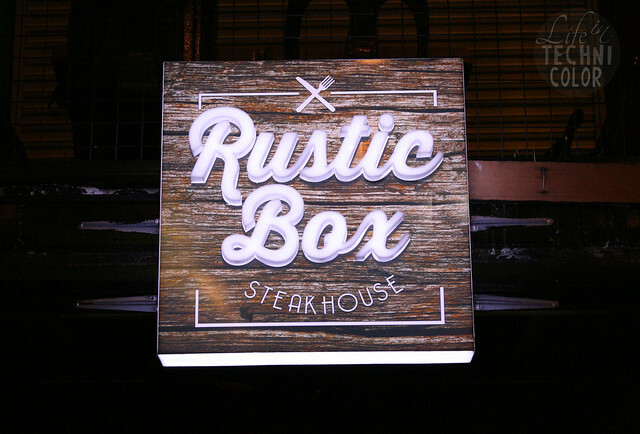 My first stop is Rustic Box Steakhouse. 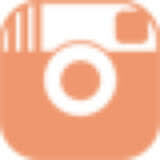 They offer everything from T-Bone, Porterhouse, Ribeye, Angus Salisbury, Herbed Salmon, Blue Marlin and Surf & Turf. And the best part? 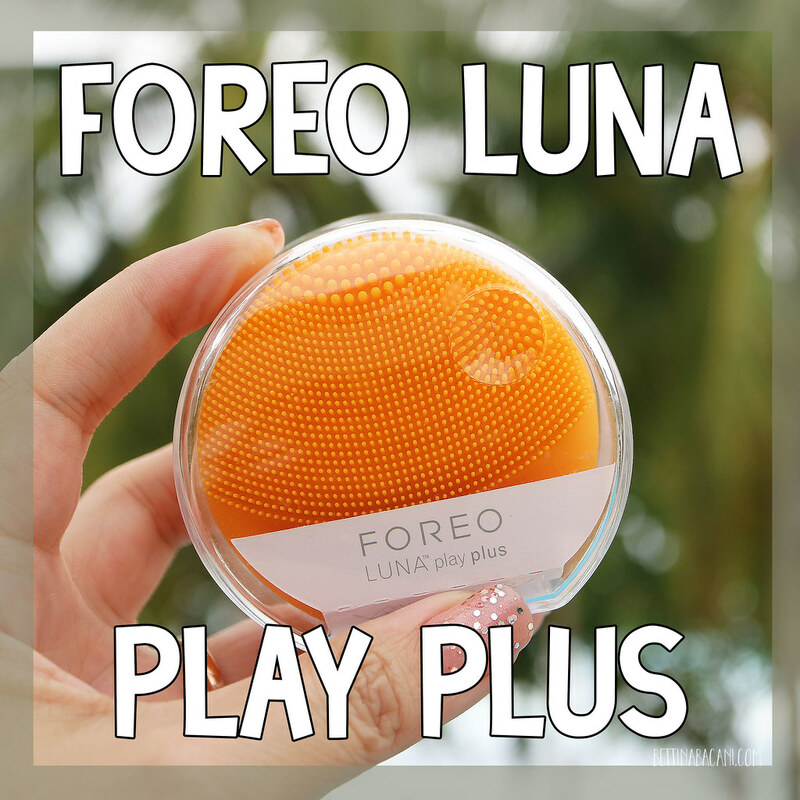 Everything ranges from P165 to P310 pesos only! 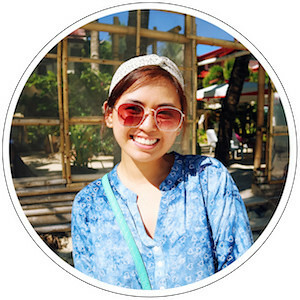 Owners Iza Sarmiento and Tin Licudine are actually nursing graduates, but they've been in the food industry for a while now. 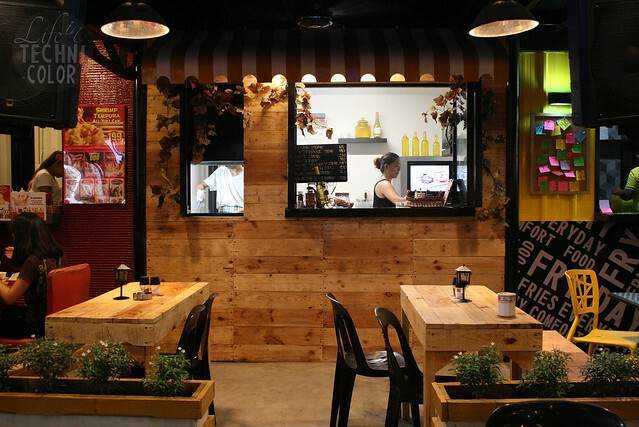 Iza has a cafe, while Tin supplies restaurants and cafes with their meat needs. 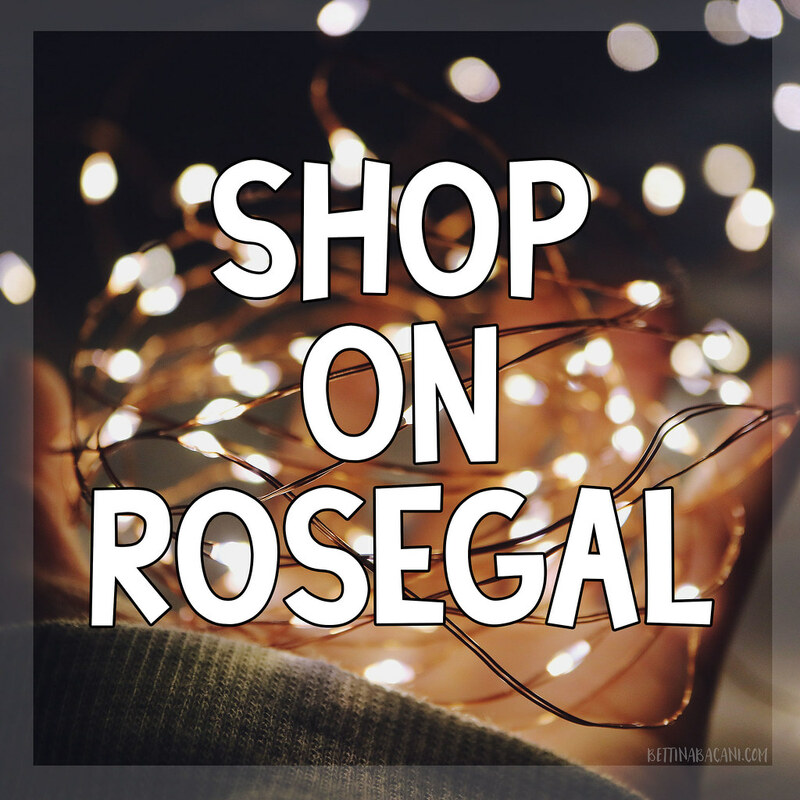 Together, they own Rustic Box. It turned out to be a pretty amazing partnership, don't you think? 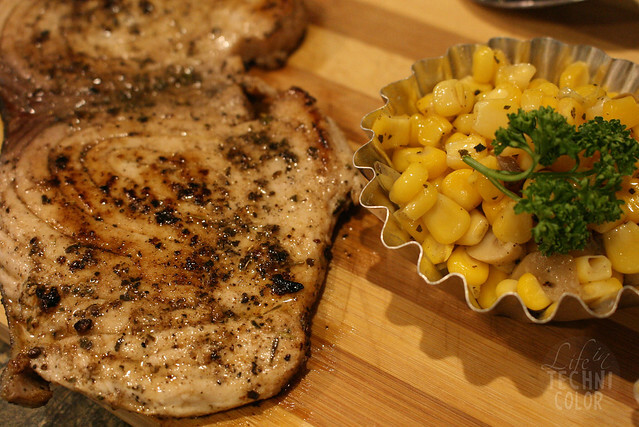 To order, they give you a form which is broken down into four steps: steak, rub, doneness, and sides. 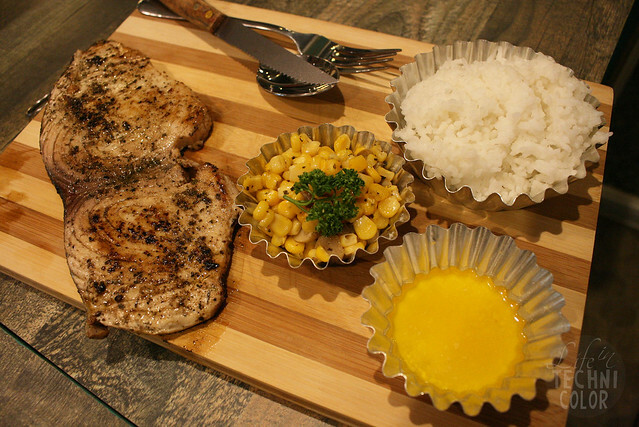 I ordered the Porterhouse Steak (P240). 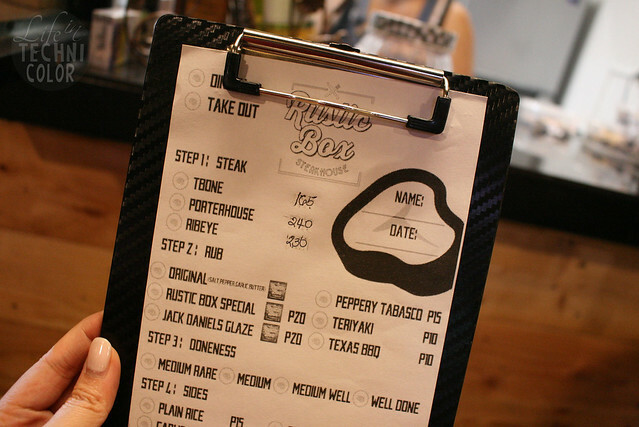 You can go for the original rub which is basically just salt and pepper, but I opted for their Rustic Box Special (for an additional P20). Other sauces include Jack Daniel's Glaze, Peppery Tabasco, Teriyaki, and Texas BBQ. P.S. 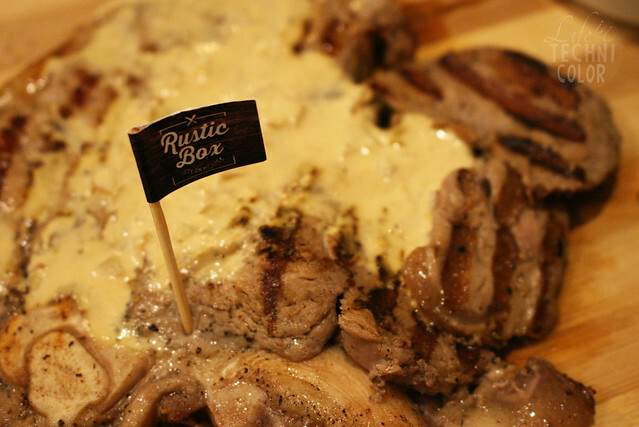 All the sauces were formulated by Rustic Box, so try them all and find your favorite! 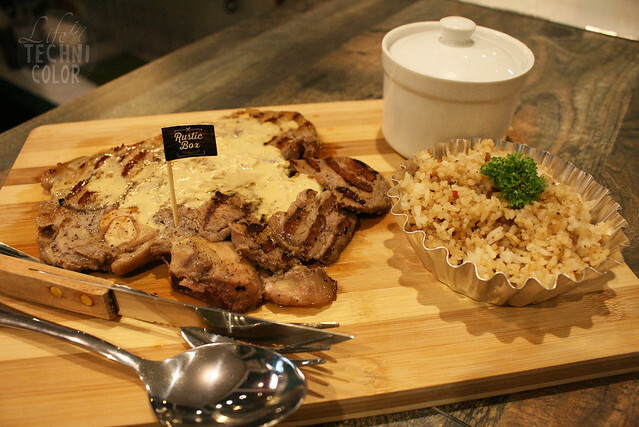 For the sides, I went with the Dirty Rice and Mushroom Soup (P40 each). For those who don't know, Dirty Rice is a Cajun recipe that is made up of ground beef, bell peppers, onions, and spices. They also have plain and garlic rice available, but I can imagine the dirty rice will go best with the Peppery Tabasco or Texas BBQ sauces. The steak was so tender and flavorful that I finished the entire thing (including the fat!!) I don't normally eat fat but it was so good, I just couldn't pass it up! Other sides include: herbed corn & mushroom, creamy coleslaw, macaroni ragu, and mashed potato. 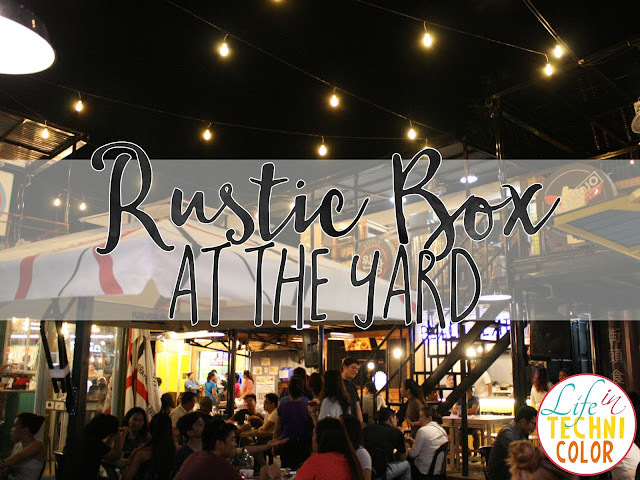 Visit Rustic Box Steakhouse at The Yard located at 83 Xavierville Avenue, Loyola Heights, Quezon City.